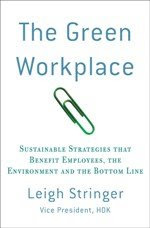 The Green Workplace: Is it Really Local? We've heard a lot about greenwashing in the past (false claims regarding the green-ness of a product, service, etc), but have you heard of localwashing? I ran across an article discussing how global corporations are now claiming to be local. I hadn't been thinking about this concept, but sadly, I wasn't surprised to hear it. I did a bit more research and found that it's not just one or two companies, but many. Lesson learned: be vigilant about investigating "local" claims, as well as "green" claims!